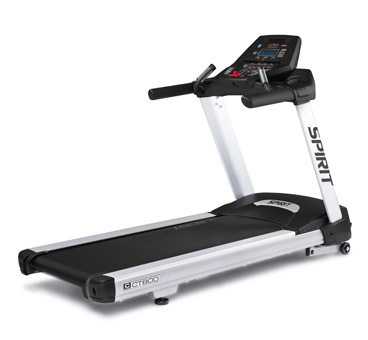 Whether you are a beginner interested in walking or an athlete dedicated to running, the Spirit Fitness CT800 meets your needs. The console has C-Safe Power & Communication capabilities for A/V control and virtual racing interaction with WebRacing® software. Large Blue-LED Matrix Window w/20-Character Message Center, and 4 Separate LED Windows, with tablet Friendly Reading Rack Holder, convenient water bottle holder, and cargo compartment for keys, phone, or MP3 player.